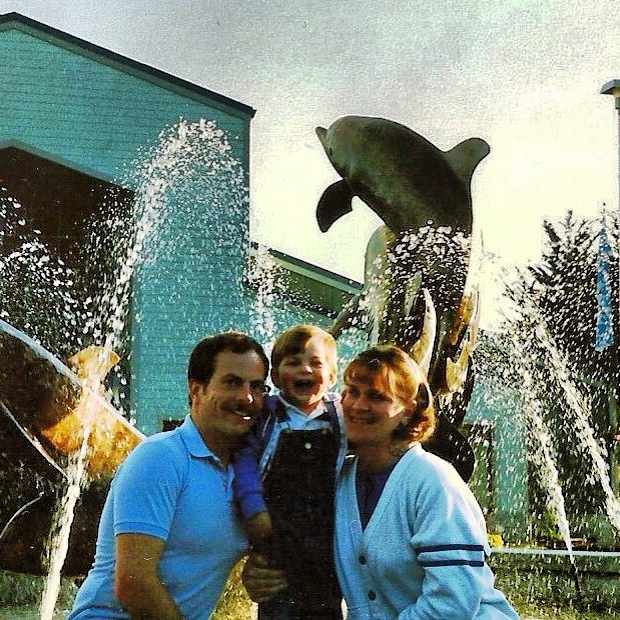 From the first season the park was in Vallejo – circa far too long ago! Not sure if I could handle having long hair like that again! Happy National Roller Coaster Day! 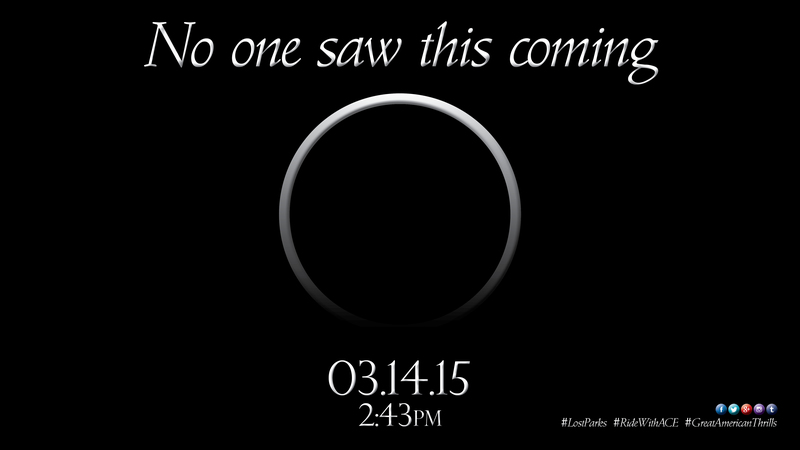 While it seems everyday is now a holiday – this is one I can get behind! So after work today, be sure to get out to your local amusement park and celebrate National Roller Coaster Day! August 16, 2013 | Categories: Amusement Parks, Theme Parks | Tags: amusement park, amusement park review, bizzaro, great american thrills, happy national roller coaster day, kris rowberry, kristopher rowberry, massacusetts, national roller coaster day, riverview park, roller coaster, six flags, six flags new england, theme park, theme park review | Comments Off on Happy National Roller Coaster Day! Luna Park Video Continues to Amaze! I had the fortune of meeting with Greg Baumann, Editor-in-Chief of the Silicon Valley Business Journal recently – and it turns out he loves learning about Silicon Valley’s history, too! Let’s hope he enjoys all 23 of the other Northern California lost parks we’re aiming to cover – thanks, Greg! August 4, 2013 | Categories: Lost Parks | Tags: amusement park, amusement park review, amusement parks, audley ingersol, californias gold, defunct amusement parks, defunct parks, destination america, discovery channel, great american thrills, greg baumann, Huell Howser, kris rowberry, kristopher rowberry, lost parks, luna park, new host, new show concept, new talent, san jose, silicon valley, silicon valley business journal, sv biz journal, theme park review, travel channel, WGA, writers guild | Comments Off on Luna Park Video Continues to Amaze! Thank you to the San Jose City Council, District Three! It’s an honor to be featured in this month’s “Community Spotlight” section of the City of San Jose’s, District 3 Newsletter! It turns out – quite a few people didn’t know about the origins of Luna Park, including the City Council! “Great American Thrills” is a web video series that follows amusement park connoisseur, Kris Rowberry, as he hunts down the original sites and memories of Northern California’s 24 bygone amusement parks. 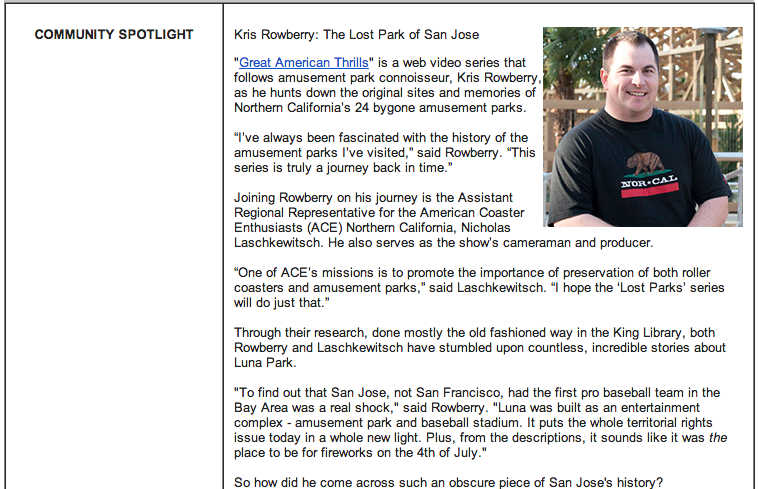 Joining Rowberry on his journey is the Assistant Regional Representative for the American Coaster Enthusiasts (ACE) Northern California, Nicholas Laschkewitsch. He also serves as the show’s cameraman and producer. Through their research, done mostly the old fashioned way in the King Library, both Rowberry and Laschkewitsch have stumbled upon countless, incredible stories about Luna Park. So how did he come across such an obscure piece of San Jose’s history? Thank you Kris for bringing back the memory of Luna Park and a piece San Jose history! August 1, 2013 | Categories: Amusement Parks, Television Production | Tags: ACE, american coaster enthusiasts, amusement park, amusement park review, amusement parks, city council, city of san jose, community spotlight, councilman liccardo, defunct amusement parks, defunct parks, great american thrills, history, history san jose, interview, kris rowberry, kristopher rowberry, luna park, luna park business district, mayor chuck reed, mayor reed, nicholas laschkewitsch, roller coaster, sam liccardo, san jose, san jose city council, san jose city hall, san jose history, television concept, theme park review, trolley park | Comments Off on Thank you to the San Jose City Council, District Three! After many years of becoming a park known for REMOVING rides rather than ADDING them, California’s Great America in Santa Clara, CA made a major statement this year with the addition of Gold Striker. Billed as the tallest, fastest (and certainly most intense) coaster in Northern California, Gold Striker is easily one of the top five wooden coasters I’ve ever had the privilege of riding – and should be under consideration for the Top Ten in the United States. 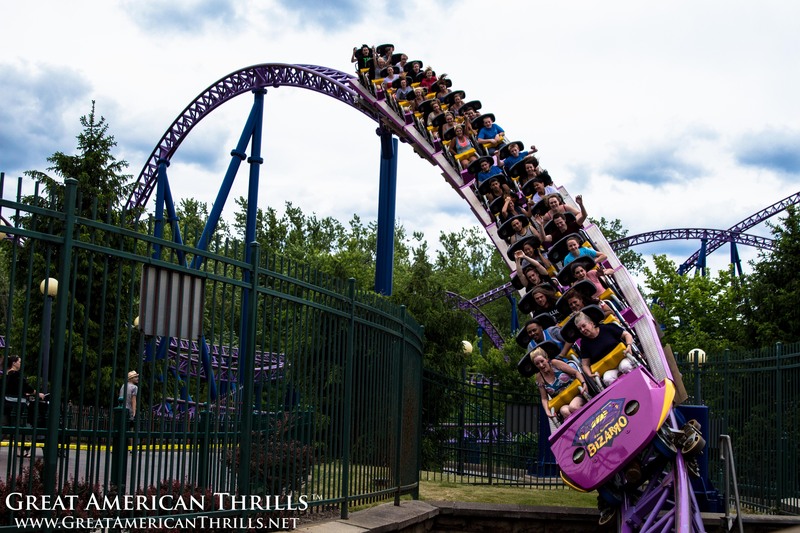 Despite some minor setbacks and delays in opening, mostly due to ongoing noise abatement issues – the ride is now roaring every operating day, to delighted and packed crowds. 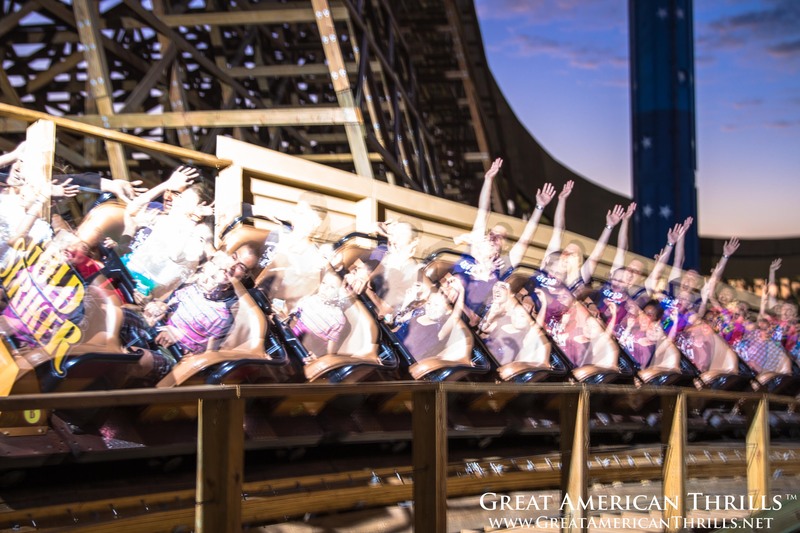 A winner all around, this coaster is seen by many as the catalyst for revival at California’s Great America – and fans are loving every moment of it. But don’t take my word for it – check out Westcoaster’s recent review. Big thanks goes out to my friends at BorrowLenses for allowing me to capture such beautiful photos with their gear. 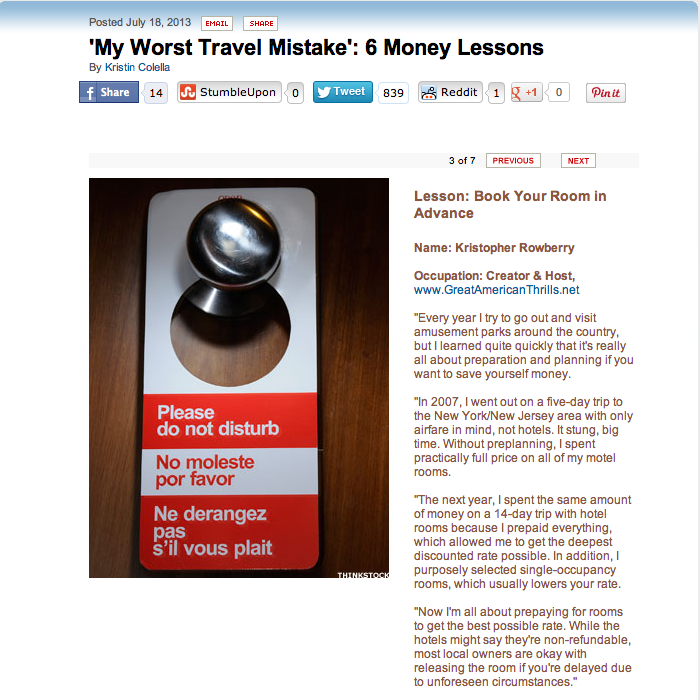 What’s Your Worst Travel Mistake? Mine was overpaying for hotel rooms on my coaster adventures. Learn from my mistake – always plan ahead! July 23, 2013 | Categories: General Travel | Tags: best price, coaster vacation, deal, great american thrills, hotel, kris rowberry, kristopher rowberry, mainstreet, motel, pirceline, prices, roller coaster vacation, the street, thestreet, travel | Comments Off on What’s Your Worst Travel Mistake?